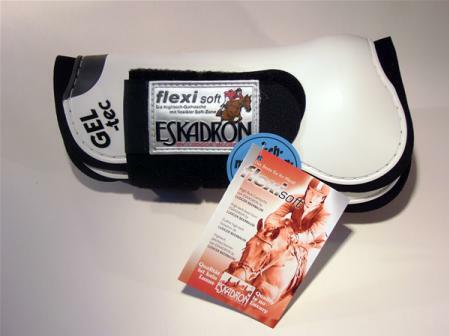 A flexisoft jumping boot with a gel lining. The best protection against brushing and bruising as the gel absorbs knocks and spreads the pressure. Available in full size in black and white. Also available in pony size - see Pony Boots. 5 stars Great product for my base narrow Quarter. Better price from you including shipping than I could get in US! Thank you! 5 stars Excellent product, exactly as described. 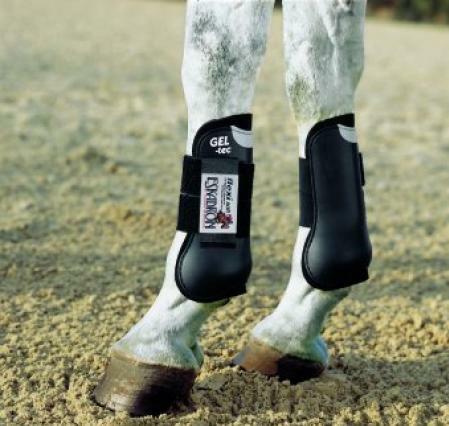 Fits 16.1 thoroughbred horse with comfort and full protection. Prompt despatch and delivery. Thank you.